Spring has finally sprung here in Melbourne, Australia and it smells good. While I'm enjoying the longer sun filled days I can't deny a little fashion envy of my north hemisphered counterparts. So here I am trying to get in on all the fun fall action, or shall I say faux fall action. Today, I am extremely flattered to be featured on Mary Jo Matsumoto's style blog, Trust Your Style. Come swing by to see myself, along with a few other style makers discussing our favourite fall obsession. 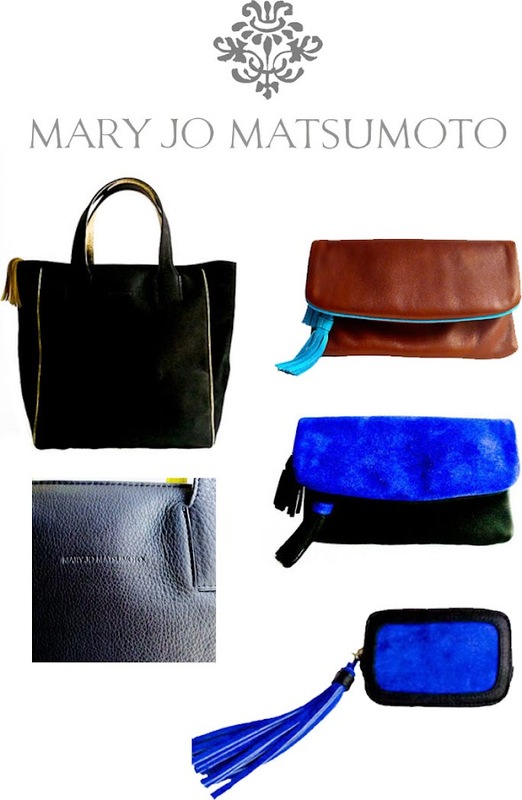 And while you're there, stop by Mary Jo's store to check out her collection of impeccably designed handbags. Here are a few of my favourites from her fall/winter collection. Mary Jo is known for extracting the essence of runway trends and presenting them in a classic, timeless manner that just oozes je ne sai quoi. your purple shoes are to die for! this is an amazing shop, she is so talented. i'm loving the laguna shopped!! I love your look in this post a lot! Very cozy and so stylish. The purple color gives a great touch for the look. By the way, what's the number or name for that purple color lipstick? I am in searching for a purple color lipstick and this one is beautiful! What gorgeous pieces–I love the cobalt blue color! You look fantastic here...it's so funny that now you're hitting spring as we're hitting fall! I have a feeling you're going to have me wishing for warmer weather in a few months! Thanks for your comment and letting me know the info of the lipstick. I'm following you now girl! Those heels are so cute! Totally forgot that it's spring in Australia. So lucky you have summer coming. But yes, fall fashion has arrived. Love your jacket. 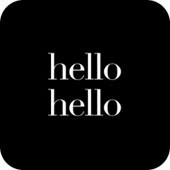 The comment you just left on my blog gave me a giggle, because I was totally just looking at some photos from your blog on Pinterest and re-pinned it to one of my boards :) and thought I have to pop over and check this girls blog out! We must've been on the same wave length! The shoes are really adorable and you look great in that outfit! Amazing! We love the outfit! Love your cape and the shoes! Um, that first picture of you looks like it straight out of a catalog. Gorgeous. And I'm obsessed with your pink shoes. GORGEOUS!!!! I agree with Maylee straight out of a catalog! Just fab! dying over your shoes and that cape! stunning! i LOVE that pop of fushia. amazing lipcolor and shoes. LOVE this look on you, beautiful! xO! Jenee, this is so chic and flawless. love it. Too fabulous girlie. Happy Spring to you!!! Thank you so much for stopping by and taking the time to visit! I'm a new follower. I love your blog...I love everything fashion in fact. Those shoes are to die for. Please do come back again soon. Thank you so much Jenee! LOVE your cape and oh those shoes! HaHaHa I can't get over them. Mary Jo makes the best bags! I love them! Those shoes are amazing! Enjoy spring! Your heels look incredible. Definitely eye-catching! Love that houndstooth capelet and those shoes. Both are lovely. P.S. Found you on the Lucky Community. They picked up a couple of my posts too so I started scrolling around. Oh my goodness, what a gorgeous kitchen you are photographing in. Enjoy Spring in Melbourne! You look like a magazine cover dear with concept of food and fashion, perfectly suits your personality! So eye popping! Can I just say how it fascinate me to see your shoes again with your super flattering lipstick! love all this pop of color goodness! OMG those heels are amazing! The color and style of those booties is the perfect compliment to your outfit! love your outfit... perfectly combined :) and I love the way you "lifted up" wholecombination with those lovely purple heels... you look very sophisticated and chick :D love it!!! I adore the first photograph of yours ! it is stunningly beautiful. With a tea cup in your hands, the picture exudes a warm, comfortable and homely vibe. Congratulations for being featured in trustyourstyle.com -you are looking great in that photograph too ! I loved how you have teamed the black and white outfit with a pair of bright colorful shoes. I love Estee Lauder Lipsticks too and I have them in 3 shades. I love all the purses, great collection! I totally adore your outfit & how you styled it with the layering, you look very chic & classy I love!!! great blog! amazing style! beautiful you! and everthing is just perfect here! ih you have time check out my blog. and if you want, we can to follow each other (gfc,bloglovin and facebook)? just tell me, and i'll return you as soon as possible. Gorgeous outfit! Love the color of your shoes! i really like your outfit! and the pics! You are so cute! I love the jacket and those shoes are amazing! Oh my gosh, I love seeing those shoes on you!! They look even better on your lovely frame. :) Seriously though, that outfit and first picture could be featured in a lookbook. Thanks again, loved having you as a fall obsession guest! Sooo cute!! Loving your cape and shoes! Cute photos!!!! Love the cape! AMAZING!!! !